Note from HGP: We love how Melissa’s gown has the crystal beading down the center – front and back. It adds the perfect sparkle! Her pearl buttons are also a rare sight- most dresses we work with use cloth buttons. We’re so grateful Melissa took the time to share her sweet story with us! Melissa K. purchased her Allure Couture bridal gown from Flares Bridal + Formal in Walnut Creek, CA. She wed her husband Louis at the Berkeley City Club in March 2015, just 2 weeks after giving birth to their 3rd child. Their reception was held at 1300 on Fillmore in beautiful San Francisco with family and friends. 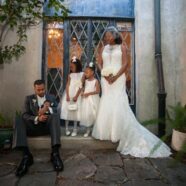 Melissa’s two daughters, Meleya and Imani, are excited to inherit her classically designed wedding gown, which is now possible with Heritage Garment Preservation. Melissa chose to preserve her wedding dress with Museum Method™ wedding dress preservation. Thanks so much for sharing this with us, Melissa! 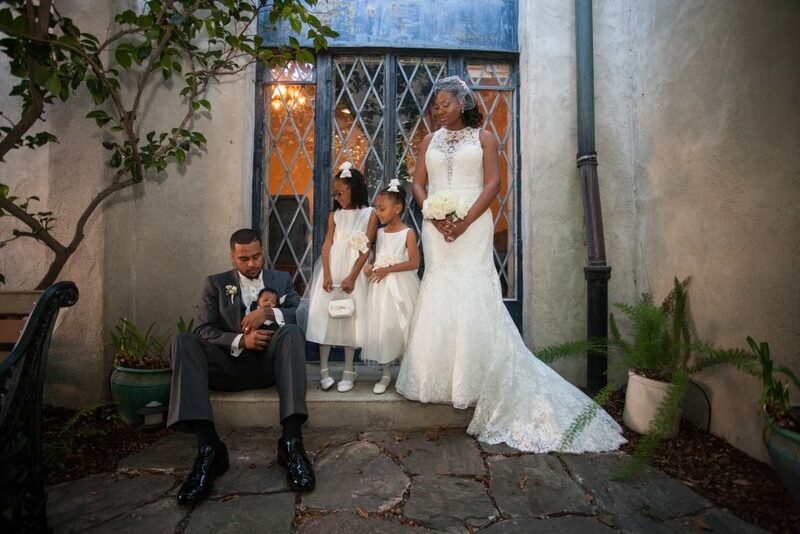 What a wonderful story about a beautiful bride and her family. The gown compliments her classic statuesque beauty and her grace.